J.P. Morgan analysts tracking the Apple supply chain issued a note to investors this week, revealing that build projections for the coming months are better than had been anticipated. Specifically, the firm originally forecast iPhone sales to drop as much as 15 percent quarter over quarter, but now expects units to be flat from the March quarter to June, at about 45 million units for each. Their visits with the supply chain suggest a build rate of 2 million units for the new 4-inch "iPhone SE" this quarter, growing to 4 million in the June quarter. For the full year, J.P. Morgan believes the new, smaller model won't exceed 15 million units. With a more bullish outlook on iPhone shipments than before, the firm believes investors should take a closer look at Apple suppliers Catcher, Pegatron, Chipbond, Taiwan Semiconductor Manufacturing Co., and Radiant. Apple Chief Executive Tim Cook has repeatedly said that reading into supply chain data can result in erroneous conclusions. But late last year, multiple iPhone suppliers cut estimates, fueling speculation that the device might see its first-ever year-over-year decline in 2016. Those forecasts ultimately proved accurate: In January, Apple told investors that it expects iPhone sales to shrink for the first time ever in the March 2016 quarter. The March 2015 quarter, in particular, is a tough comparison for Apple, as the company sold a whopping 61 million iPhones during that three-month span. 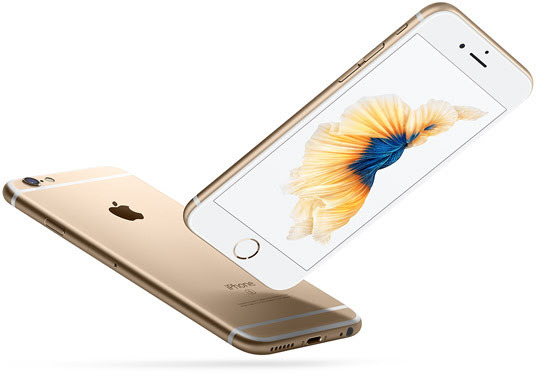 Apple also sold 47.5 million iPhones in the June 2015 quarter. Apple is expected to unveil its new 4-inch iPhone at a media event on March 21. The revamped handset is rumored to feature an iPhone 6s-like design in a smaller chassis, featuring most of the features of Apple's latest handset, except for pressure sensitive 3D Touch. A more significant "iPhone 7" update is still expected to arrive later this year, in September. It's believed to be as thin as an iPod touch, and will come in the same 4.7- and 5.5-inch screen sizes as the iPhone 6s.